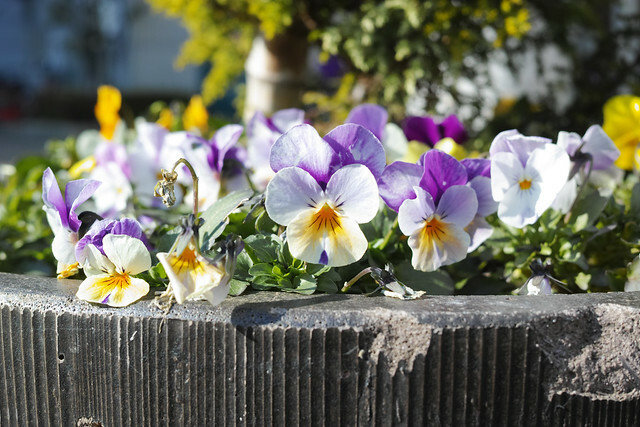 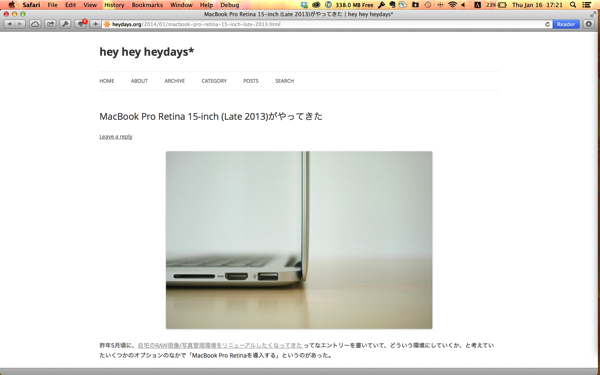 This entry was posted in MacBook Pro with Retina Display, Memo, SIGMA dp2 Quattro on December 31, 2014 by masaru. 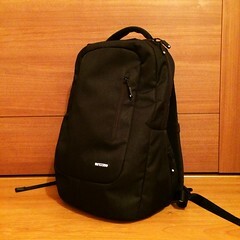 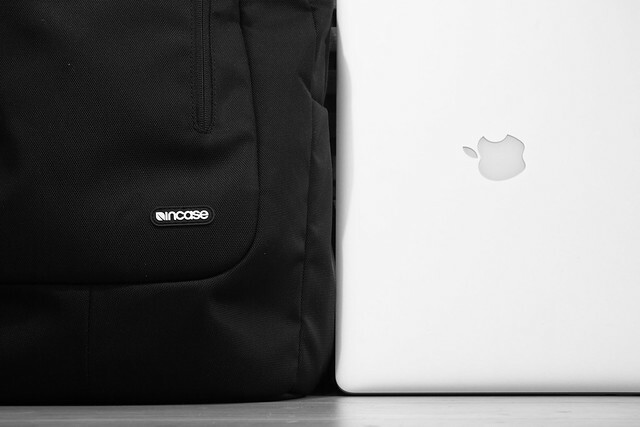 This entry was posted in Apple, Backpack, MacBook Pro with Retina Display on January 28, 2014 by masaru. 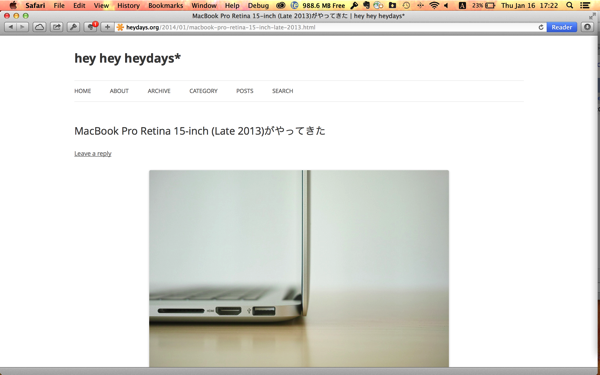 This entry was posted in Apple, MacBook Pro with Retina Display on January 21, 2014 by masaru. 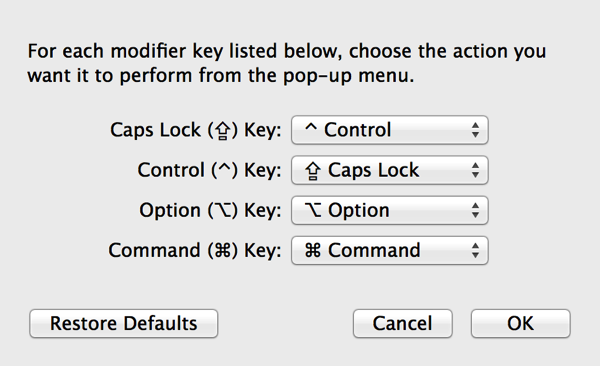 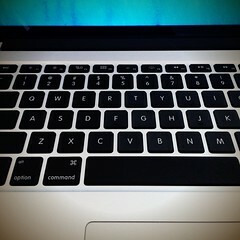 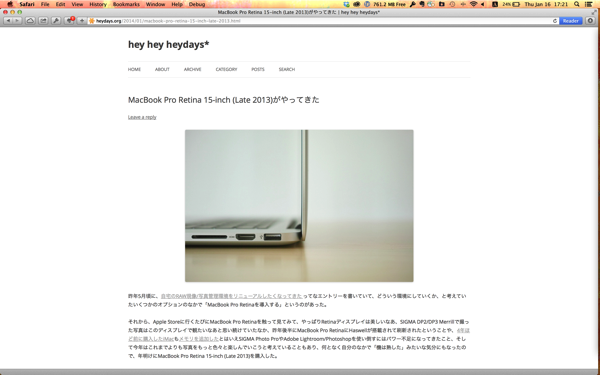 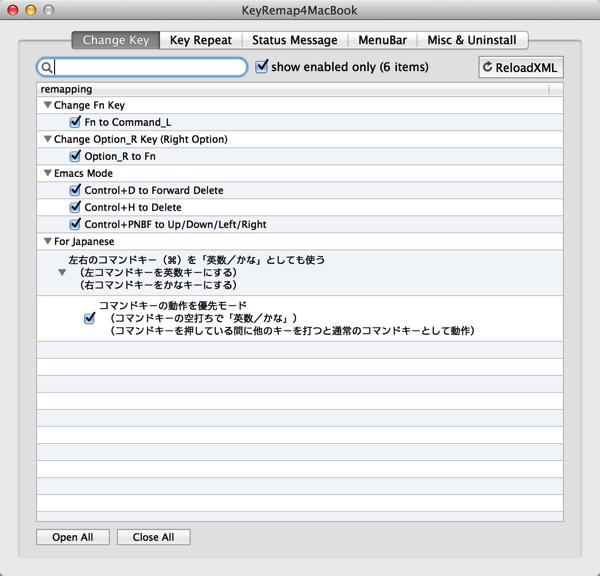 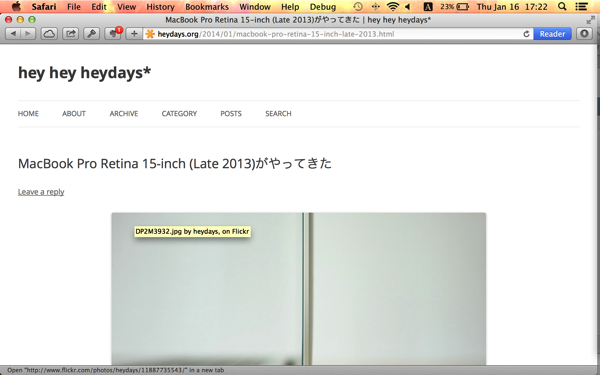 This entry was posted in Apple, MacBook Pro with Retina Display on January 16, 2014 by masaru. 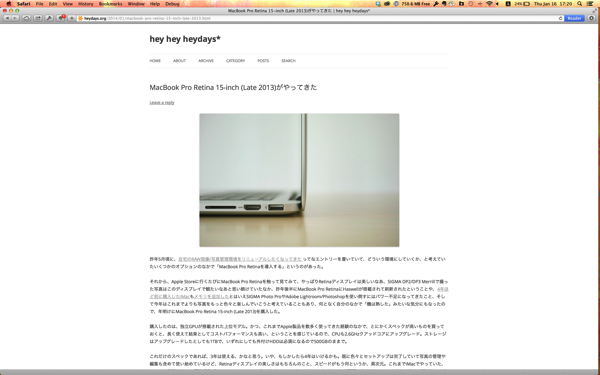 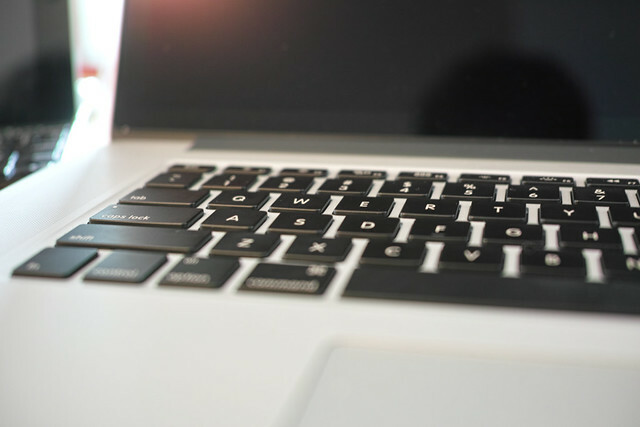 This entry was posted in Apple, MacBook Pro with Retina Display on January 12, 2014 by masaru.